Pakistan's Peshawar High Court Wednesday summoned Prime Minister Imran Khan to appear before it on December 13 in a case filed over his alleged relation with a US national, Sita White. 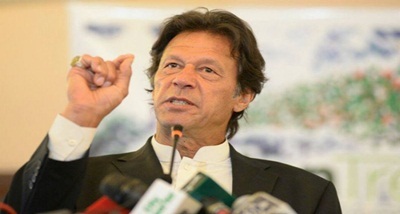 The division bench of the Court comprising Justices Ikramullah Khan and Ishtiaq Ibrahim issued the notices to Khan on a writ petition filed by the Pakistan Tehreek-e-Insaaf chief's rival candidate, Inamullah Khan in the July 25 general elections. The petitioner said that Khan has a daughter, Tyrian White, from Sita White which he has not mentioned in his nomination papers and therefore does not fulfil the criteria under Article 62 and 63 of the constitution.